If you’re looking for a healthy smoothie for kids (that they’ll love), I’ve got an easy recipe for you. Plus, you can freeze the leftovers to make healthy popsicles during the warm months. I know it’s not officially summer yet, but with school letting out in just a few days, it sure feels like summer to me. There are a ton of fresh, cool foods that I am excited to make over the next few months, but at the top of the list are these easy green smoothies. 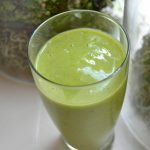 There are a few different varieties of kids’ smoothies I like to make, but today I’m sharing my easy green smoothie recipe. It’s my favorite healthy smoothie for kids because it contains a lot of spinach, but you would never know it based on how it tastes. It’s only the green hue that gives it away. There are many different ways to make green smoothies, but this is my go-to recipe. I like using spinach instead of kale because it blends up really smoothly in a regular blender (no Vitamix required). 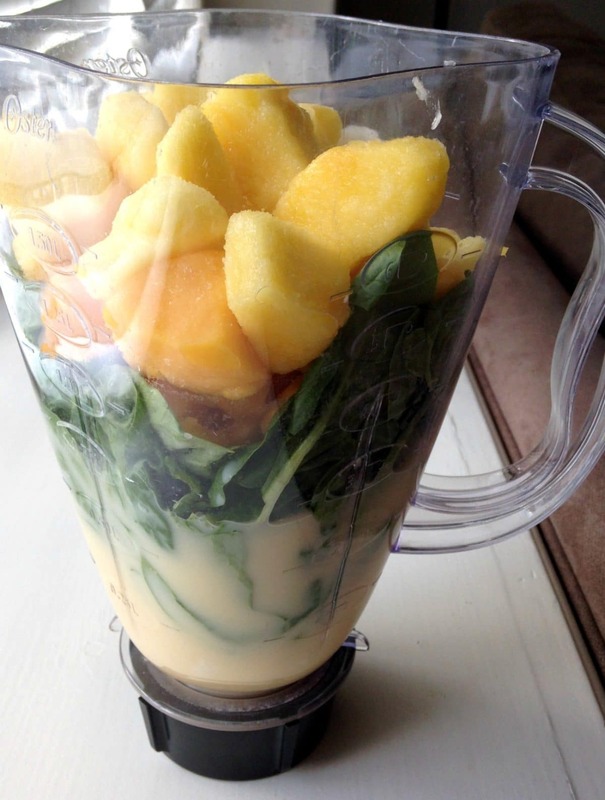 Pineapple is my other “must have” ingredient because it completely eliminates the spinachy taste of the spinach. You can always use fresh fruit if you have it on hand, but since chopping pineapple and mango is a pain, I like to buy it already frozen and cubed. Just toss everything into the blender and blend away until it’s nice and smooth. And now for my special trick! If you have any leftover smoothie, don’t throw it away! Instead, pour it into a reusable popsicle mold. The great thing about homemade popsicles is that they can be really nutritious, and the kids don’t even notice that they’re getting a good dose of veggies, fruit, calcium, protein and vitamins with each lick. I wrote my recipe to create a big batch so that I can make smoothies to drink right away, and still have a lot leftover to make healthy popsicles. If you only want to make a small batch of smoothies, just cut the recipe in half. 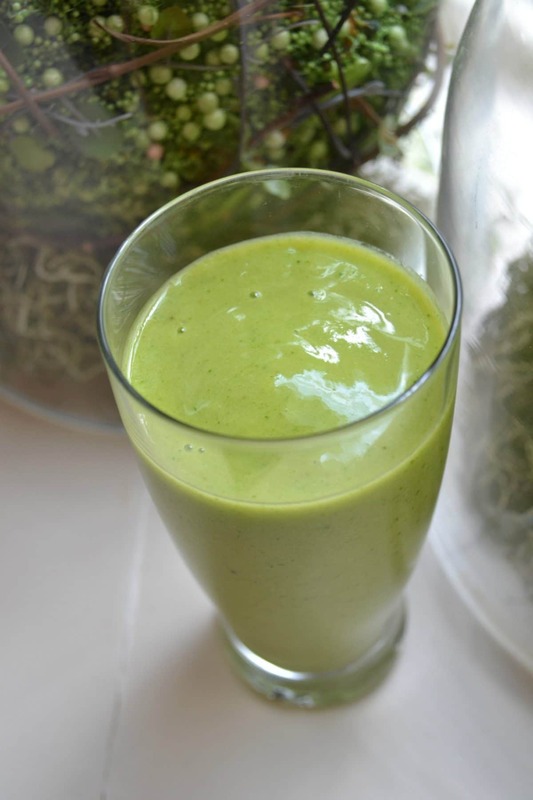 This healthy green smoothie tastes delicious and is totally kid-approved! Put the ingredients in a blender and blend on high until mixture is smooth. 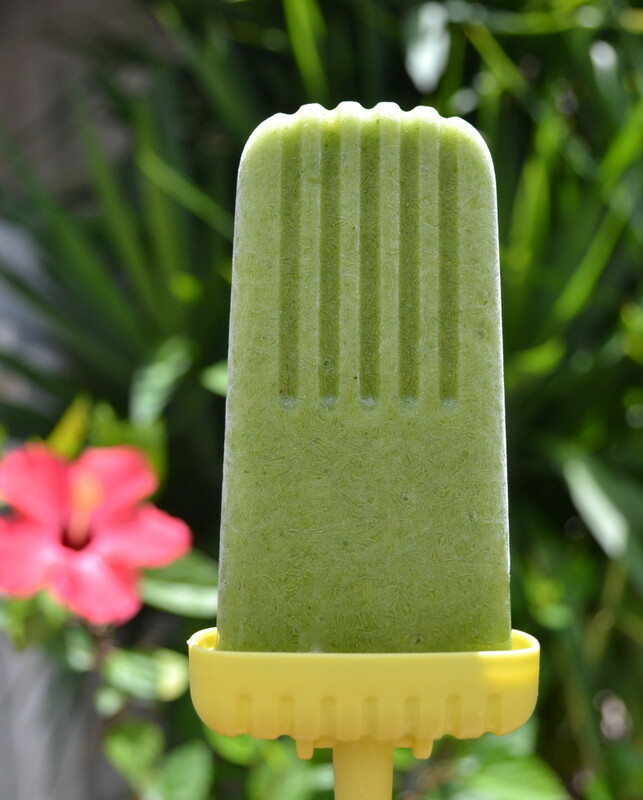 Serve immediately for smoothies, or freeze in reusable popsicle molds. This recipe yields 3-4 smoothies with enough left over to make about 6 popsicles. Be sure to visit my full RECIPE INDEX or read more of my tips for feeding a family. I remember how good these are and, you’re right, there’s no veggie taste! Amazing! The girls love them! Perfect after a hot day in the sun.